Forget everything you remember about your childhood and the children's show characters you watched; your once infantile mind has fooled you. Like Dionne Warwick said, friends can be lovers, lovers can be friends, and a good number of the "best buddies" on the programs you grew up on were definitely smushing on the low. 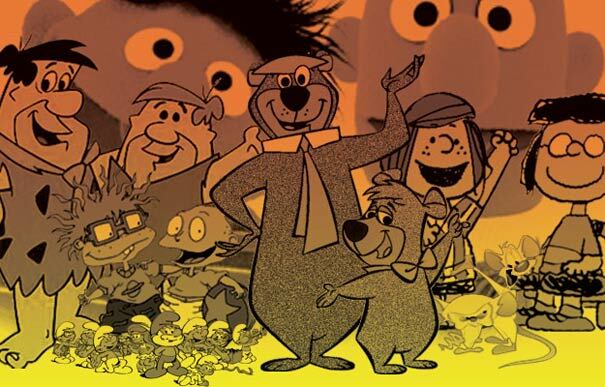 Take Yogi Bear, Jellystone Park's lovable menace, who has a live-action CGI movie adaptation coming out this weekend. He and Boo-Boo Bear, a boyish companion who's exact relationship with Yogi is never known, pranced around the woods all day stealing pic-a-nic baskets. Forgetting the fact that "bear" is a term for burly, hairy-chested man in the gay community, there's definitely enough going on there to give us pause. And they weren't the only special friends, either. In fact we got a whole list for you: The 15 Most Pause-Worthy Kids Show Friendships. Sure, we might warp your childhood a little bit, but isn't it time the truth came out?